Be equipped with the high efficiency sevo system which can cleaning automatically for all the corner seams in quick speed. Adopts industry grade computer system, closed-loop controlling, ensures high precision. Interface in figures and diagrams which can display directly the moving trace of the cutter. It is simple, direct-viewing with the demonstrating program function, can set two-dimension processing programming by CNC controller. Can Store many processing programmes for different profile. For Cleaning the welding tumor on 90° corner of external side of profile and top and bottom. The milling cutter should be changed for each profile for cleaning the 90° External side. The unique design for the special cutters make them in stable working and have perfect cleaning effect. 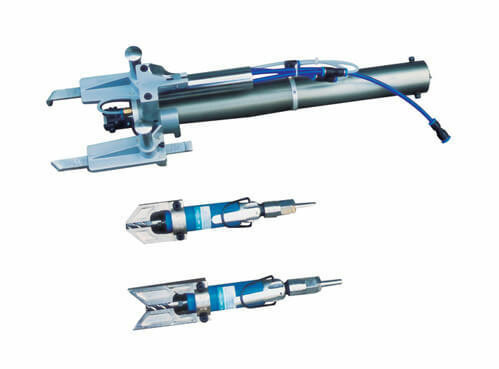 Used for cleaning the welding tumor on top and bottom of the profile. 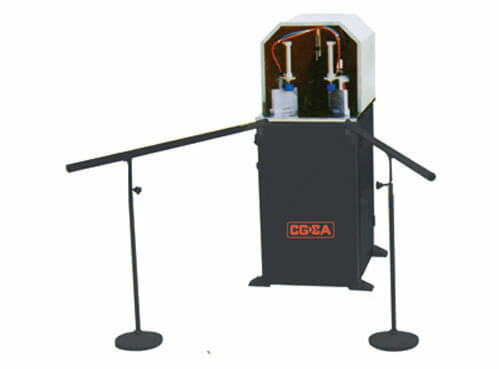 Fully pneumatic driven completely, it features simple organization, safe and convenient. Used for cleaning top and bottom seam and internal and external tumor. Driven manually using pneumatic power. Used for cleaning V shaped mullion Welding seam. The worktable sliding rail ensures the mullion in accurate location. 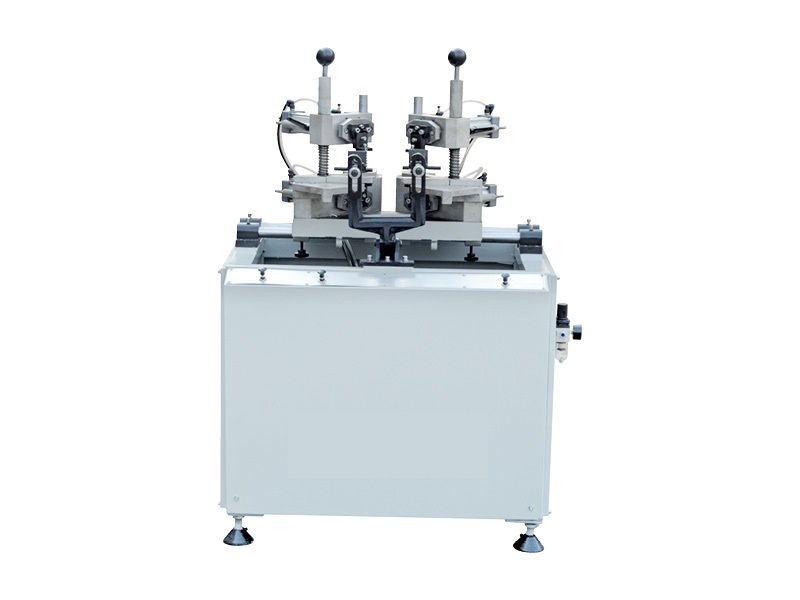 Upper and lower planning cutter is driven by pneumatic. Two concurrent operation button, ensures the oprator safety.